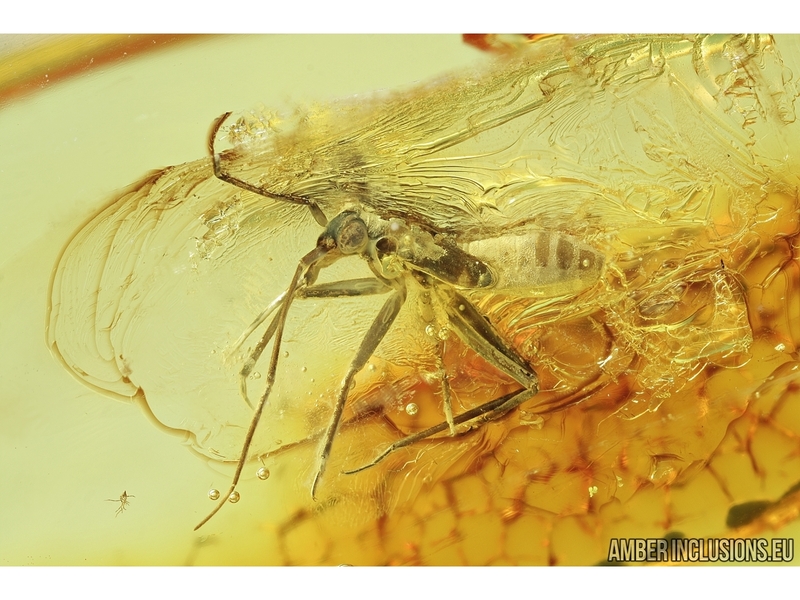 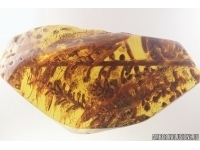 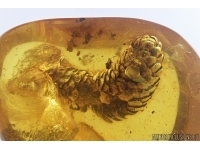 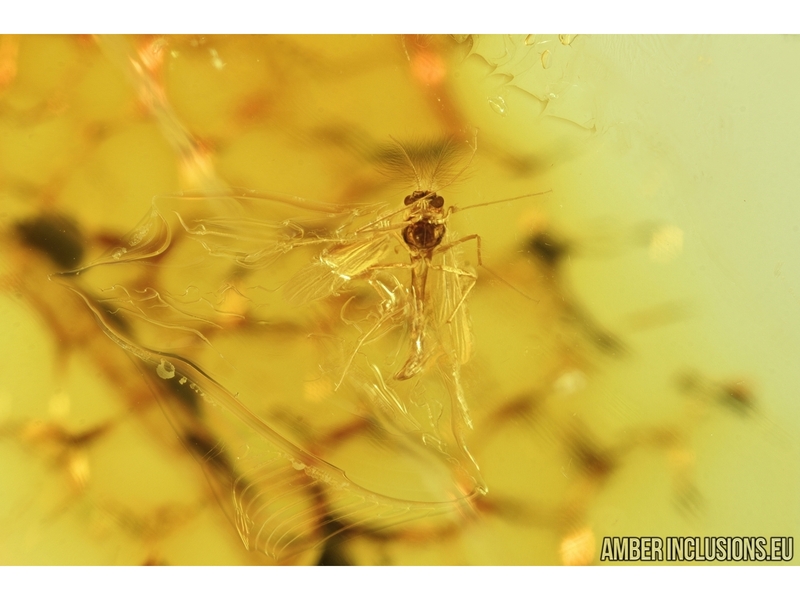 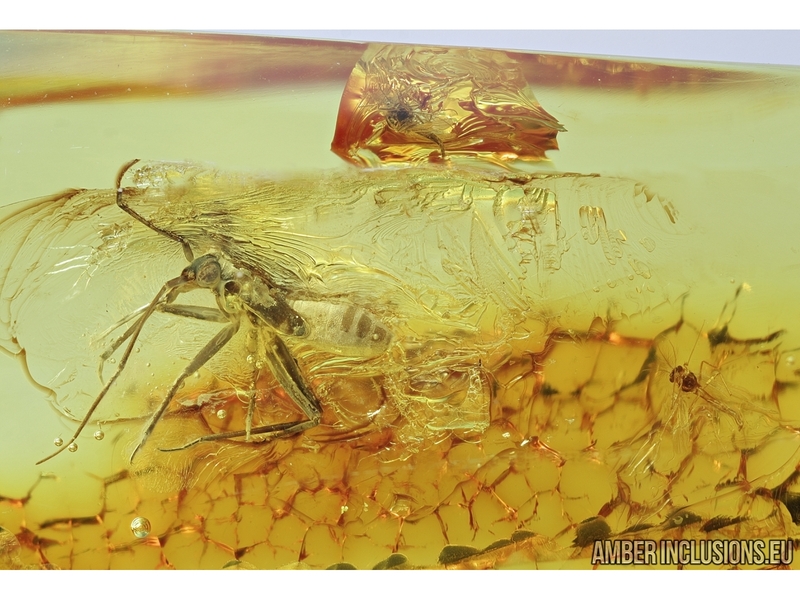 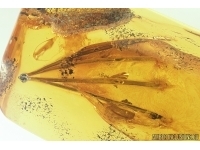 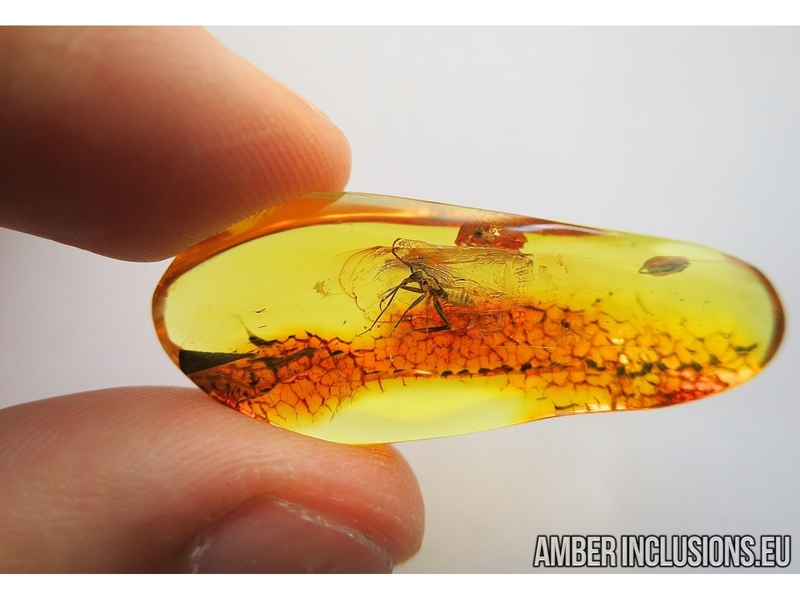 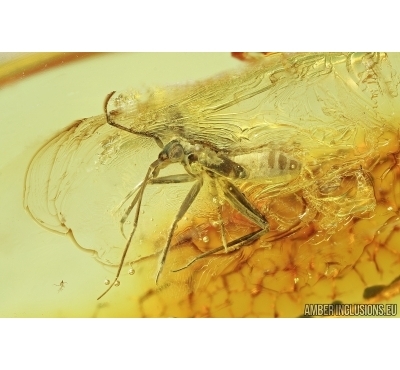 Baltic amber stone with fossil inclusion –True Bug and Gnat. 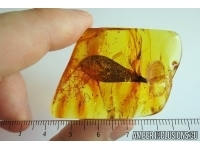 It weighs 2.6 grams. 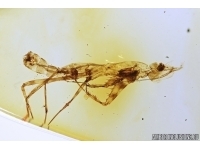 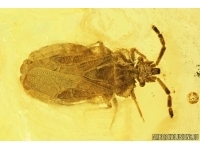 Measurements of stone 40x15x7mm, length of bug body ~4.5mm, max ~8mm, gnat ~1.5mm.